Cas Hanwei 1918 Mark 1 Letter Opener | BUDK.com - Knives & Swords At The Lowest Prices! Designed for close-combat trench warfare, the 1918 Mark 1 was commissioned near the end of World War I, but never saw action until the beginning of WWII, when it was pressed into service for, among others, Airborne, Rangers and Glider Infantry troops and saw action until early 1943, when it was replaced by the M3. 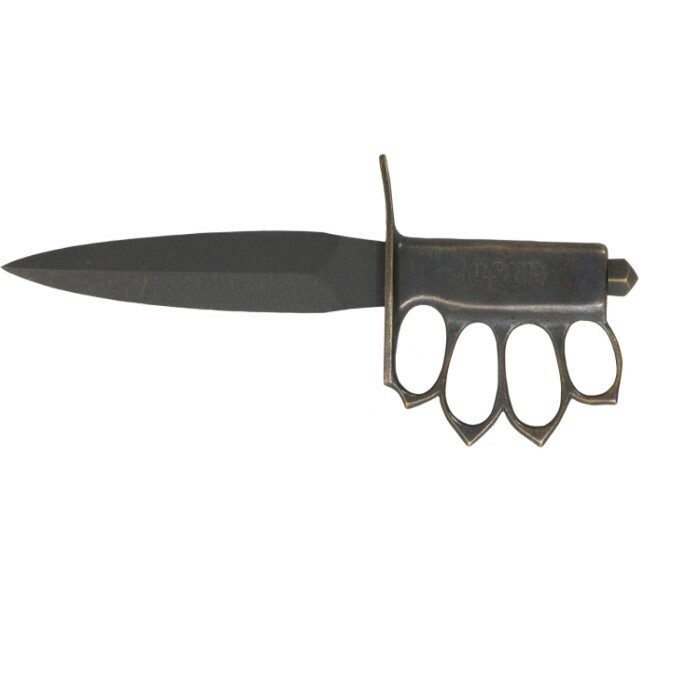 The distinctive "knuckle-duster" grip of the Mk. 1 was cast in brass with a black anti-reflective finish. Highly collectible, the Mark 1 was made by three manufacturers in the U.S. and one in France. Originals sell in the collector market for up to $1000! This 1918 Mark 1 letter opener features a steel blade and a blackened bronze grip with authentic detail.